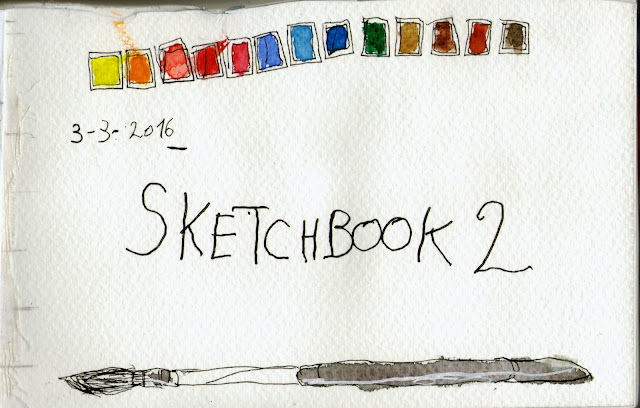 Dries Moonen: Catching up and a new sketchbook! I didn't update this blog for some days. So here is the catch up entry. First I started in a new sketchbook. For the first page I felt like making a title page. 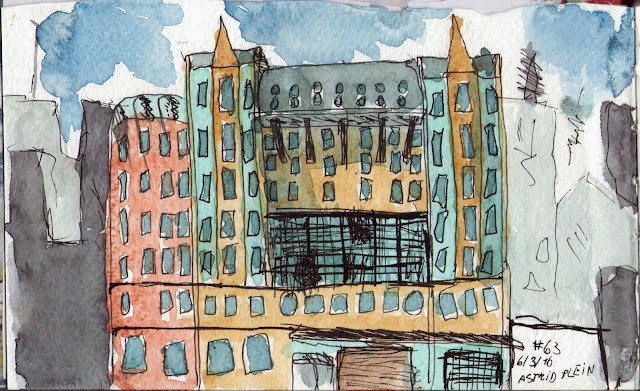 The first sketch is the Radisson next tot the Central station in Antwerp. That day was awefull... The weather was soo gray, wet and cold. I did the pencil and inking on location but after that I had to go back to paint it. A few days after that the weather was a bit bette. 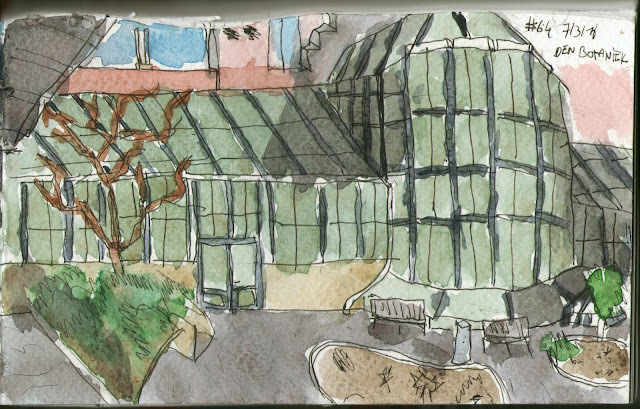 Still colder but not wet.I painted the greenhouse of the botanical gardens next to the ST. Elisabeth hospital. A small but fun garden.